The owner Babis was really helpful and gave all local restaurant, shops etc information to help us for our stay. Babis was very kind and even came to see us off complete with an umbrella as it was raining! Where to begin with Babis. Such a character. Very hospitable. Picked us up and dropped us at the port (and our friend the airport). The apartment is big, however it is not two bedroom as described on booking.com. There was one bedroom with double bed and two single beds in the lounge room. This however was not an issue for us. The location is perfect on the Main Street of Tsilivi. Beds were comfortable and room was cleaned daily. Would definitely stay again when back in zakynthos. The property was clean. The owner Babis was communicative and let me stay an extra 3-4 hours after checkout. I would recommend the property. The apartment was really big with two bedrooms and plenty of seating. The beds were really comfortable. The location was lovely, away from the road and set in beautiful gardens. The lovely beach is maybe a 10 minute walk away but wasn't a problem for us. There are plenty of great restaurants close by. Babis (lovely man), our host was there to meet us as soon as we arrived & there was juice & water in the fridge for us. We'll be back! The friendly hosts, the location, the relaxed atmosphere and the beautiful gardens that surrounded the apartment. 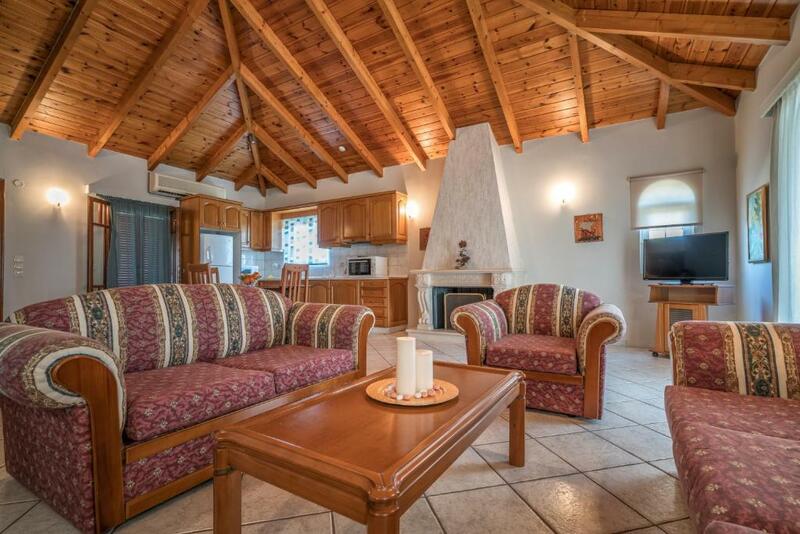 The proximity of the apartment to the airport made the transfer stress free and fairly quick. 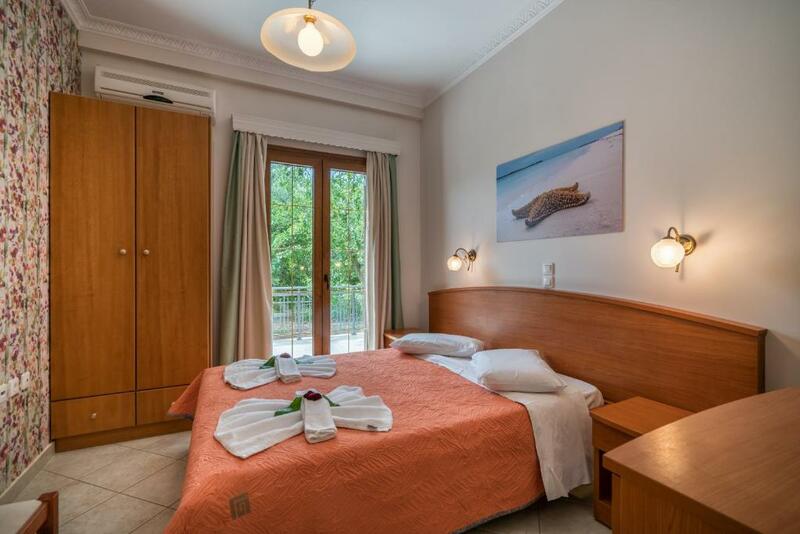 Lock in a great price for Mavrias Complex – rated 9.5 by recent guests! One of our best sellers in Tsilivi! 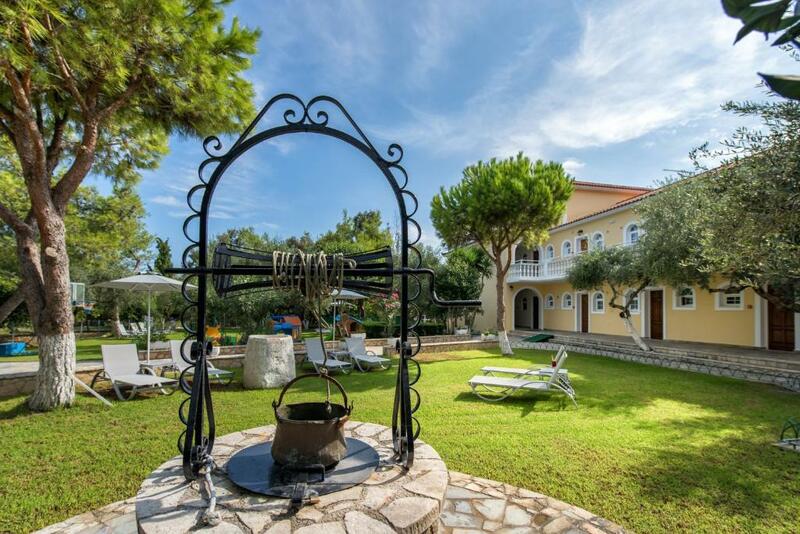 Within close proximity to Tsilivi, Mavrias Complex features a well kept gardens. The beach of Tsilivi, awarded for its pristine emerald waters, is found at a distance of 1,500 feet. All apartments are air-conditioned and include a fully equipped kitchen and a safe, and daily maid service is provided. Guests can relax at the sun terrace with the sun loungers, while younger guests can spend time at the on-site playground. 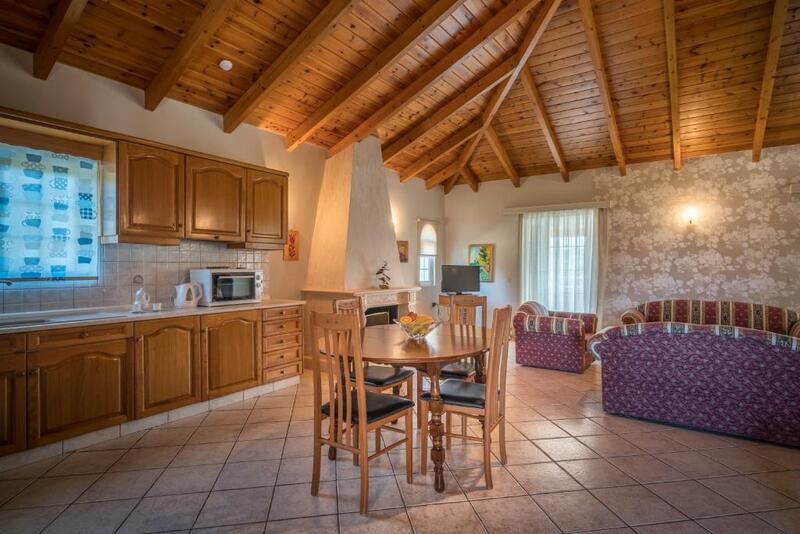 Access to the swimming pools of 3 neighboring properties is provided. The airport is easily accessible within a distance of 5 mi from the complex. Zakynthos Town is 2.8 mi away. 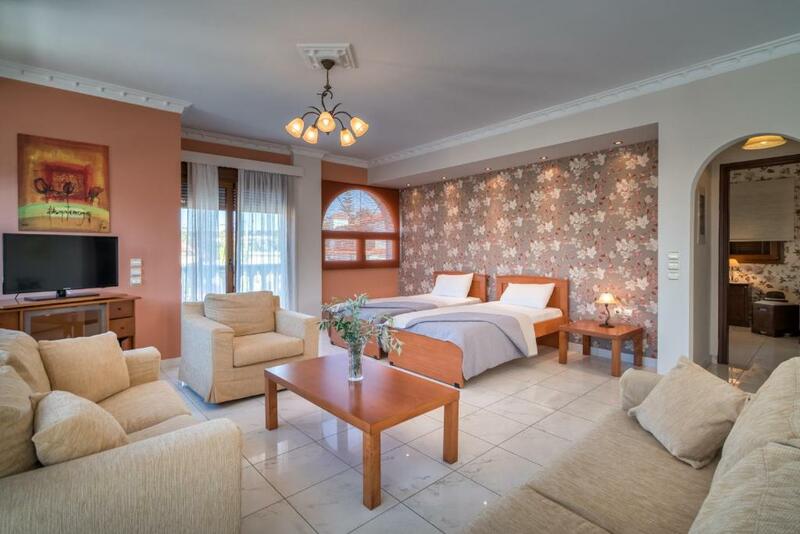 When would you like to stay at Mavrias Complex? 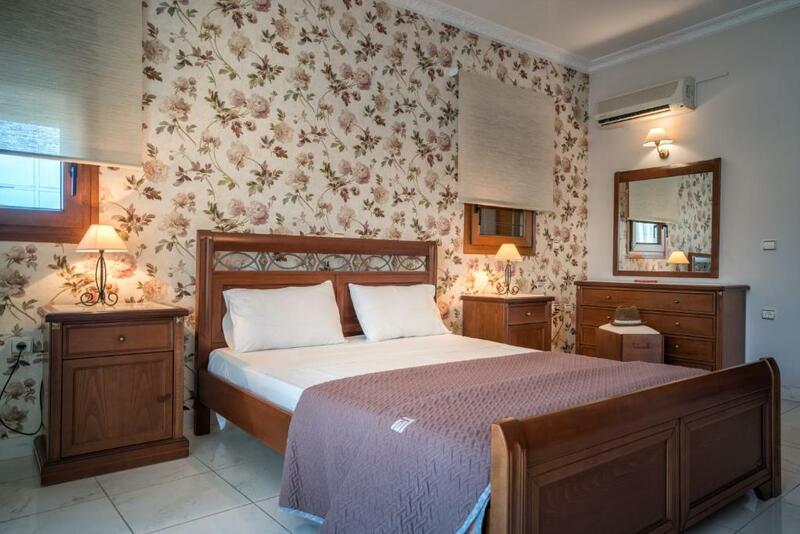 Spacious, beautifully decorated apartment with 1 double and 2 single beds. 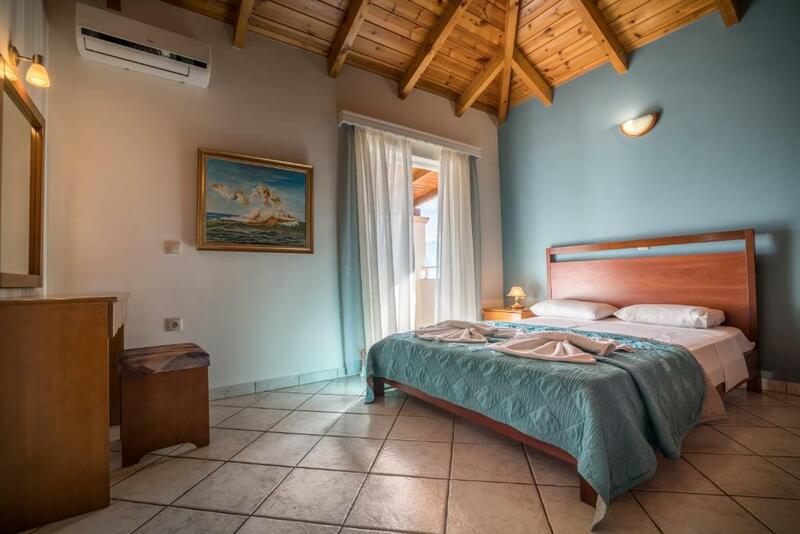 Spacious suites with 2 bedrooms and balconies with partial sea view. House Rules Mavrias Complex takes special requests – add in the next step! Mavrias Complex accepts these cards and reserves the right to temporarily hold an amount prior to arrival. Please inform Mavrias Complex of your expected arrival time in advance. You can use the Special Requests box when booking, or contact the property directly using the contact details in your confirmation. I did not find anything wrong in 10 days. No GSM reception, WiFi did not covered the whole place. I cannot think of a bad thing about this accommodation. The price for what we got was amazing value. We booked in the 2 bed apartment/suite. Which had a double room, a twin room, a bathroom with bath and over bath shower, a kitchen and sitting area. We also had a large balcony area off each bedroom and from the sitting area. Just outside the sitting area was a grassy play area with slides and swings and a play house, the children loved it and we were able to see them from the balcony area which was great. The apartment was clean, comfortable and had everything we needed. The owner Babis was really friendly and helpful, he lives in the apartment above us and told us to knock on his door if we needed anything. He was great with the children and the children loved him. On arrival he had noticed we were visiting with children so Bought us some juice, water and biscuits in which were great after a long day travelling. The apartments are situated close to bars and restaurants, yet set back from the main road so you don't hear the noise. The beach is just a ten minute walk away and there's plenty of shops along the way. We absolutely love eating out at different places each night but we did grab lunch (takeaway to eat on the balcony) from the on site restaurant which was delicious! We all loved our stay so much that we are already talking about going back next year! Thank you Babis for making our holiday so enjoyable! Dogs barking throughout the night, but we've found that everywhere we've stayed on the Greek islands has been the same! There were no dislikes but just an observation. We recently spent two weeks in a comparable apartment in the middle of Malaga. The cost of accommodation in Tsilivi was almost double that in the Malaga apartment. The owner Babis Mavrias was an exceptional host, old school, very friendly and helpful, the local mate you need for everything that is not on the internet. The flat was large and very well equipped. We stayed in an apartment, it was large, had a separate double bedroom, decent kitchen and two single beds. Plenty of space for a family of four. The rooms were cleaned daily, and we received plenty of grapes and the occasional bottle of wine direct from the owners small vineyard. Restaurants and bars are all around and the beach is a ten minute stroll away.